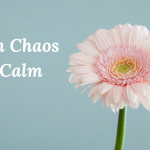 Let me show you how to make the transition from chaos to calm. Emotional Regulatory Healing, ERH© is my unique approach to Mindful and Trauma-Informed Care. The Brain is the Boss of Behavior; Change the Brain~Change Behavior. Everything that we do at the Alvarado Group is directed at brain-based interventions which mitigate the negative impact of trauma and loss. 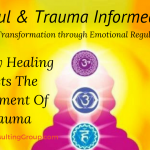 Human service organizations, educational systems, faith-based and communities at large experience successful transformation and recovery through the trauma-informed and mindful paradigm of Emotional Regulatory Healing, ERH©. 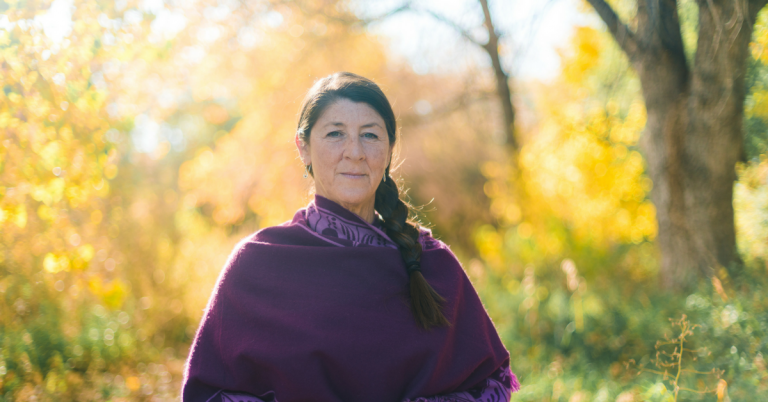 ERH integrates core principals of neurodevelopment, grief, trauma, attachment and learning theories with mindful healing into a comprehensive approach for the client of trauma and loss, providers and the broader community. 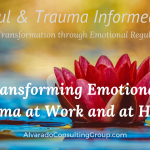 ERH is a scientifically grounded, mindfully based and trauma informed paradigm directed at the improvement of organizational, social, emotional and behavioral life. ERH is an an integration of the most recent research in neuroscience and ancient paradigms in healing of mind, body and spirit. Emotions are valuable signals that allow for our survival and help us thrive. 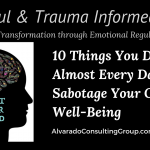 However, when those emotions become dysregulated, our rational self goes off-line rendering impulsive decisions, illogical thinking and outcomes that leave individuals, families and entire organizations dysfunctional. ERH teaches us simple ways to regain regulation during times of stress and to assist others in doing the same. When we can integrate our emotional and rational self wisely and manage them under pressure we tend to make more effective decisions, connect well with others, remain capable as leaders and parents, and follow our purpose in life, love, family and relationships. ERH calls for a deep understanding of the impact of trauma to the body, mind and spirit and offers both explicit interventions with clients and implicit support in the environment toward regulation. Through our training programs we integrate a highly experiential component and teach your group the basics and the in-depth information needed to increase regulatory capacity for provider and client simultaneously. The experience of trauma is terror. The experience of grief is sadness. Recognizing and responding to each in a timely and developmentally appropriate way is imperative for optimal healing. 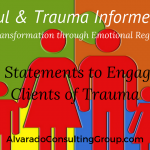 The traumatic event or loss is but the beginning; how the client experiences this event and the long term effects of this experience is what we teach you to work with. ERH is being taught throughout the US and in Canada. Please visit our Client Page to see who else is practicing ERH.